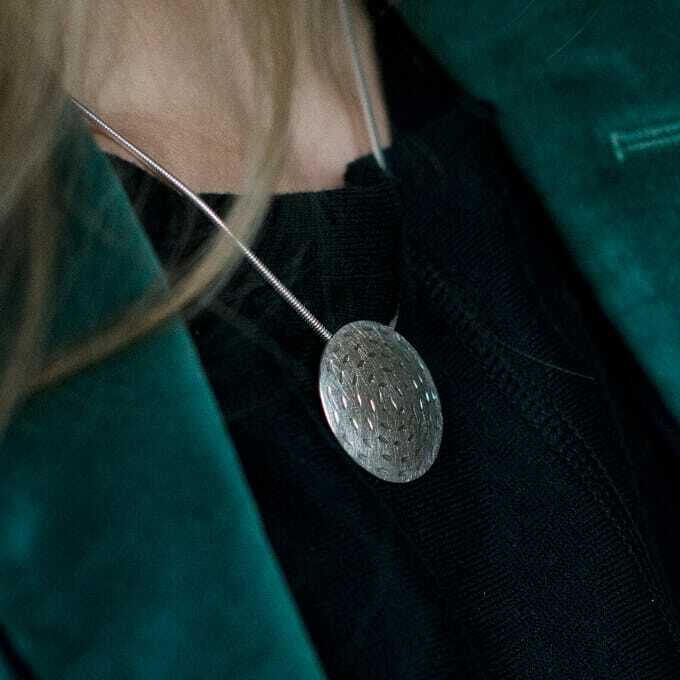 With its deceptively simple appearance, this hand-tooled silver pendant and chain suits jeans and a t-shirt but also transitions seamlessly through to whatever is penned into your social calendar for the evening. 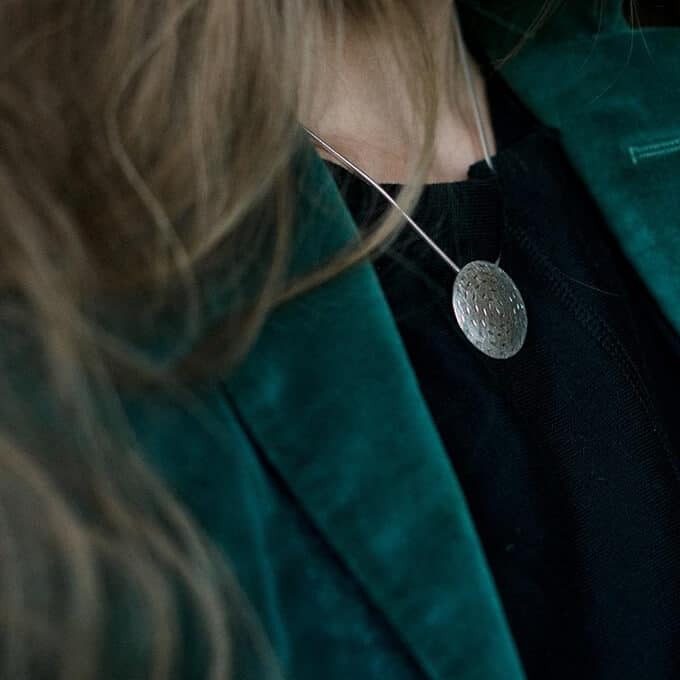 This design is inspired by artefacts that Isobel brought back from her travels. In particular, it draws on the jewellery traditions of the Inuit peoples. 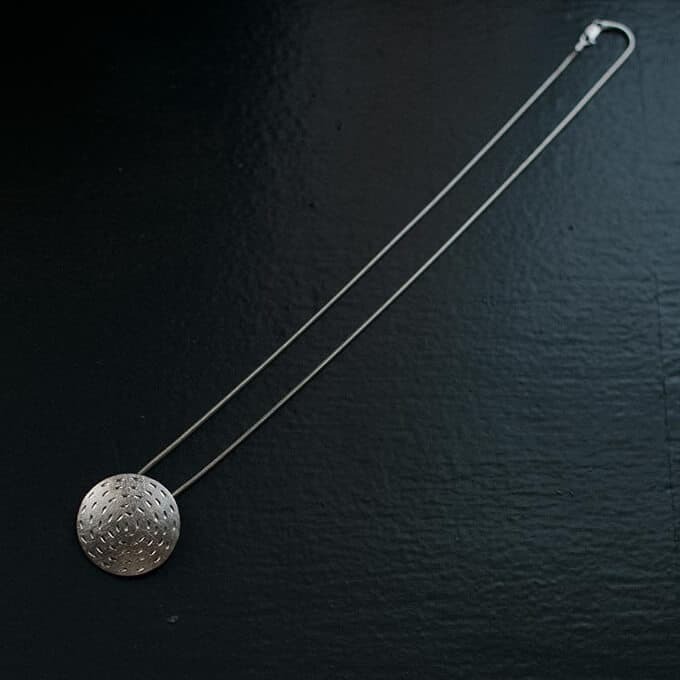 This necklace has been handmade, featuring the techniques of silversmithing and mark-making.